The ideal alternative to batten luminaires with traditional T8 fluorescent lamps: LED Value Batten luminaires impress in terms of their efficiency, lifespan and light quality. Thanks to clips on the rear, their high-quality silver colored aluminum housing can be installed effortlessly on wall or ceiling. And because they come in three different lengths and wattages, you are sure to fi nd the right LED Value Batten for your requirement. With their slender design and integrated switch, LED Switch Batten luminaires are ideal for under cabinet shelf lighting. Yet these innovative luminaires can do even more. That’s because they can be connected together with ultimate ease to create seamless continuous lighting strips. Their scope of application is further extended thanks to four available lengths and two light colors. The LED Power Batten luminaires truly live up to their name: luminous efficacy of up to 5,100 lm and efficiency of up to 110 lm/W says it all. Their robust metal housing can be installed effortlessly on the wall or ceiling using the clips provided. And their wide range of models with single or double versions, two lengths and two light colors make them the first choice for all applications where high light intensity is required. LED Light Batten is a slim-line T5-shaped LED batten luminaire for indoor applications. Functional with timeless design, the luminaires can be used individually or as a continuous light strip. TubeKIT is a simple and practical mobile luminaire, which can be used both as a wall-mounted and ceiling luminaire and as an undercabinet luminaire. 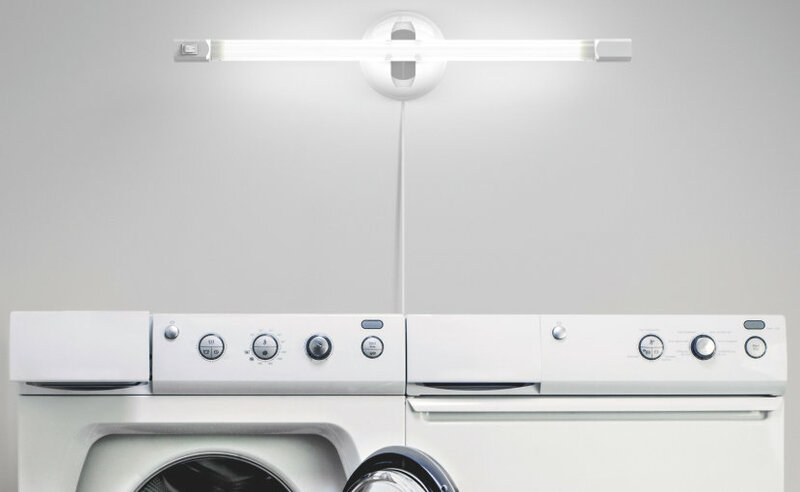 Thanks to its versatility, it is ideally suited for a wide range of applications in kitchens and basements or as a mobile light exactly when and where it is needed. With a new developed socket you can use our mobile plug-and-play solution TubeKit+ as a luminaire for walls, ceilings or as a standing luminaire. But this socket brings even more: With its ability to rotate and tilt, it ensures a perfect and glare-free lighting. This practical luminaire is available with a length of 60 cm and with two different light colors.